I lost power, internet, phone, TV (never watch and don't care) last night due to a sever thunderstorm. I have no flash light, no candles, not even heard any sound. I was in a complete darkness but I was not alone. 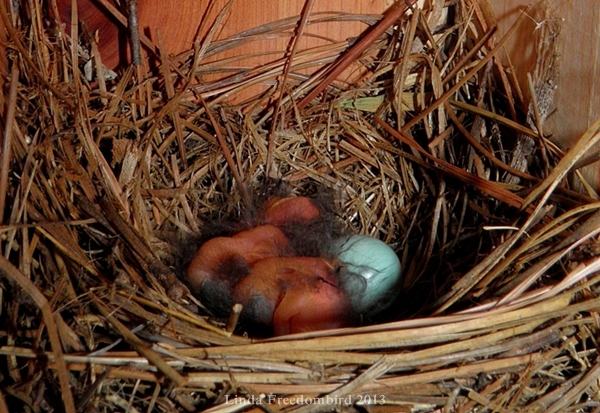 Four beautiful souls were born on my deck last evening! The picture was taken few hours before the storm. I was wondering if chicks were scared, if they were hungry or if the last chick was too scared to come out. I have never this closely watch a bluebird box. 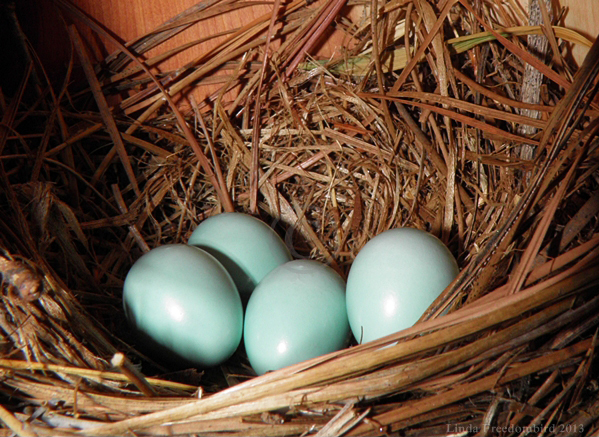 I have no choice but installing a bluebird nesting box on my deck this year. 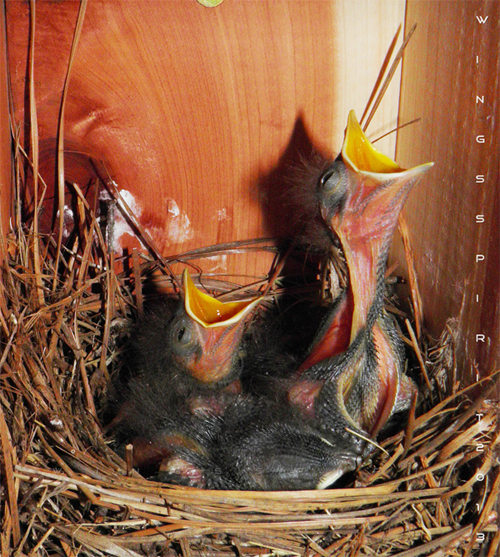 I was very skeptical if they will hatch because the nesting box was very close to a human, me! Nest was built back in the March. I noticed this female was very meticulous in a way that she constantly threw large pine straws and put smaller ones in. It took about one month to build this nest, which was longer than a normal nest. I was so looking forward to seeing her sitting. But this pair never returned until the end of May. This bluebird mom has her way and she knew how her nest would be built and when she would be ready for sitting. I thought they might be young parents with less experience. So I decided to give them a "boost"! I AM WORKING ON A VIDEO CALLED "LIFE OF BEING A BLUE"! PLEASE COME BACK SOON. IF YOU LIKE MY WORK, SEND ME YOUR THOUGHT AND COMMENTS! IF YOU WANT TO KNOW WHERE I GO, JUST FOLLOW THE BIRD! Do you enjoy reading Wings Spirit? If you do, I welcome you subscribing to my posts.